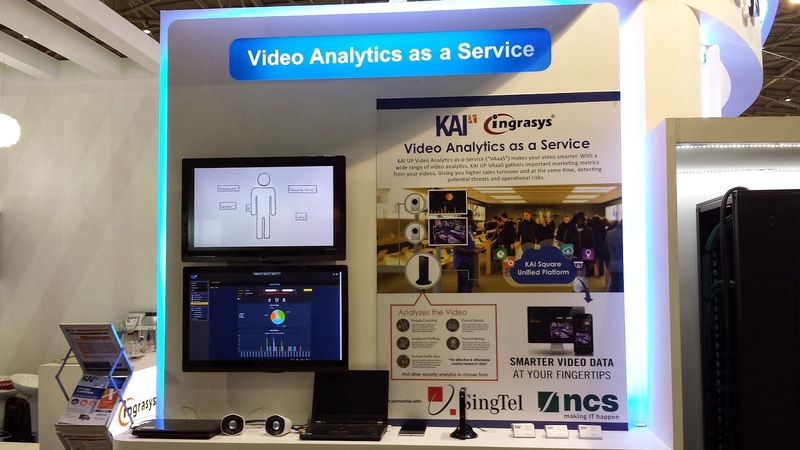 25 Mar 2014 - KAI Square is proud to have been invited by Ingrasys Technologies to showcase our VAaaS at their booth during the recent SecuTech 2014. 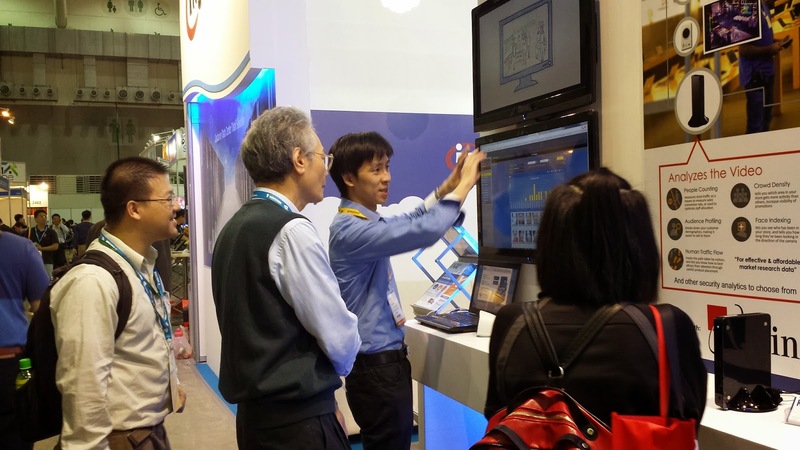 The 3 days event, held at the Taipei World Trade Center Nangang Exhibition Hall, featured the latest developments in the security and surveillance sector. During the event, Ingrasys, experts in the field of intelligent network computing, shared their knowledge on cloud based security services and network related security. We had the privilege to be invited as one of their close partners to showcase our intelligent cloud service, the KAI UP VAaaS. The KAI UP VAaaS extracts intelligence data for security and commercial purposes by processing video footage from surveillance cameras. These data, are sent to cloud, and can be easily accessed by users via web browser or mobile app. It was a great experience for us as we had the opportunity to talk to many potential partners and buyers from all over the world. 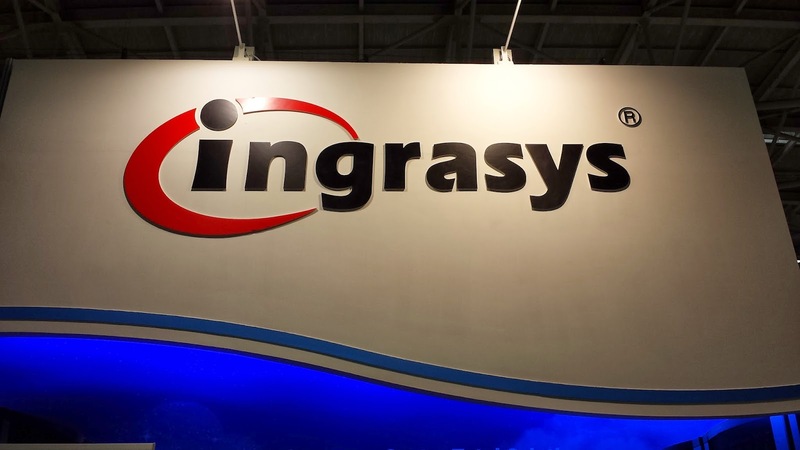 We would like to thank Ingrasys for bringing us on board for this event, and we look forward to many future opportunities to work together again. View the event photos on Facebook. To find out more about our VAaaS solution, please visit vaaas.kaisquare.com or contact our sales team at sales@kaisquare.com. Ingrasys Technology Inc., founded in February 2002, is a global leading developer in the network computing technologies. Headquartered in Taoyuan, Taiwan, the company has presently more than 150 employees worldwide. Over 70% are engineers specialized in network computing technologies developments. Based upon its own innovative SlimServer technologies, Ingrasys has maintained a steady growth on the business toward the global market. To effectively manage the growing business, Ingrasys also affiliates with strategic partners in major territories worldwide, such as EU, U.S., Middle East, Australia, Asia, and Mainland China. Currently, Ingrasys is dedicating to deliver the solid-state networking storage device/server, as well as the full spectrum of intelligent embedded network systems and service solutions for the fast-growing network computing environment. With the core technologies integrating the optimized design of network operating system, software and hardware, Ingrasys provides the breakthrough intelligent network solutions with excellent usability and reliability to our valuable customers. With extensive experiences in the network computing technologies, Ingrasys Technology Inc. is continuously aiming as the Best-In-Class technology company that connects all our partners to the future growth. Visit the Ingrasys website here.